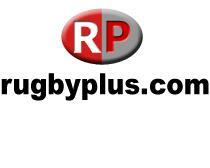 Two ways to get everything on your Rugby Christmas List in one place at reduced prices …. In the ‘Apply Coupon’ box in ‘View Cart’ section of our website after you have chosen an item/s to purchase. The amount discounted will be shown. b)	offer is available on all items on the website including Sale items but excluding items in the Schools/Club section. If you happen to be in Aberdeen on 12th or 26th November, please pop in to our store in George Street. We would be delighted to offer you 15% off all items instore on those days. The offer again includes all items including sale items but excludes school/clubwear. Our store is open on Sundays from 11-4pm leading up to Christmas. Get everything from mini balls to kit bags to replica match jerseys to boots to training jackets to everything RUGBY at discounted prices . Looking forward to processing your order or seeing you at our store in Aberdeen. New Shirt Sponsors for the Bruce Shirt 2017-2019  3 new shirt sponsors for the new design of the Brechin Bruce Shirt.